Red Hat announced this week that its Red Hat Enterprise Linux is the Linux operating system leader. While that alone is magnificent, there's more in the original article than it seems. 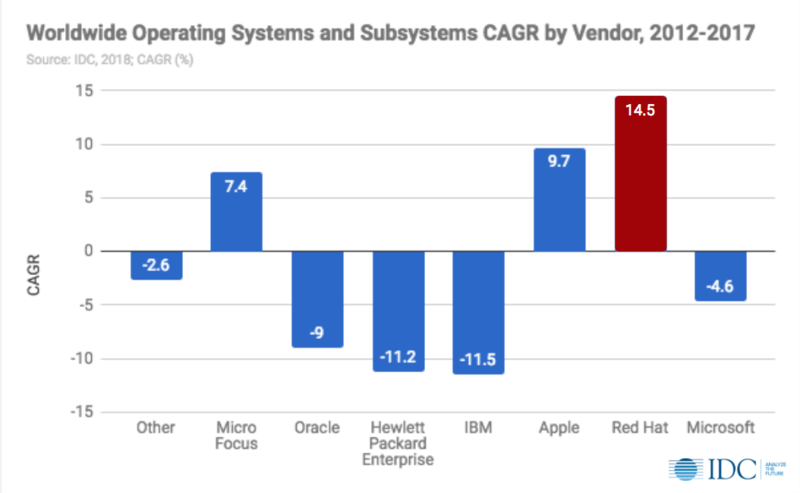 The stats below released by IDC in May 2018 show 14.5% increase in 5 year, making RH the fastest growing operating system vendor. A growth in the installation base was also highlighted, making RH now side by side with Apple in OS installation base. That's fantastic! 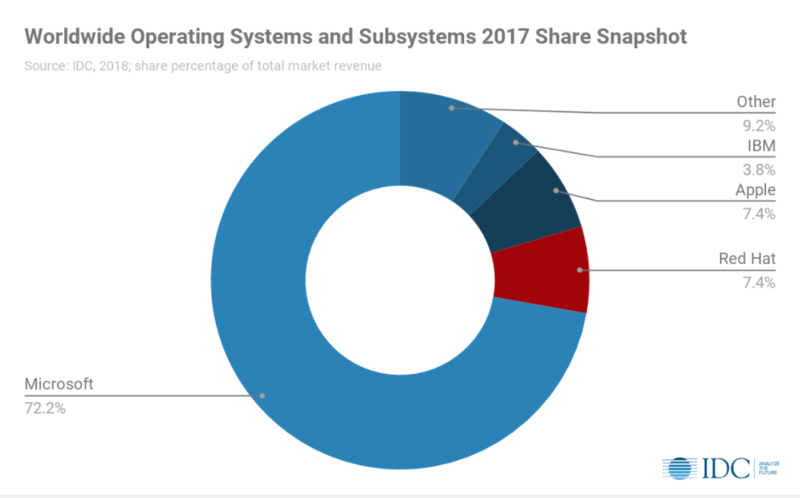 If you want to try all that innovation (and who knows, support the open source project), take a look at the Fedora distribution. It's one of the most cutting-edge distros and incubator for Red Hat Linux.